You Really Want To Go Now? 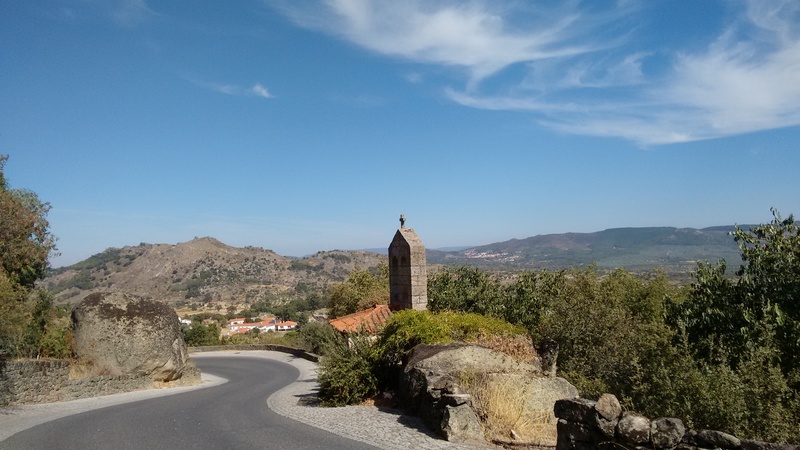 I realise not everyone can choose when to take holidays but I’m always surprised by the number of emails I get from people seeking advice on cycling in Portugal during July and August. It gives me a real dilemma. On the one hand I want to help, but on the other hand I don’t want people going there thinking they’re going to have a lovely time pottering around in the summer sun. Out for a ride – in January! I hate putting people off – it’s a wonderful country for a whole raft of reasons. Personally, though, I’m very happy being a lot further north than Portugal at this time of year! To my mind, the country starts getting a bit on the warm side in April or May (depends of course on where you are in the country) and doesn’t even start cooling down until late September or October. Yes, I’ve done a fair bit of cycling there in June but only on a road bike with no luggage. I certainly wouldn’t want to go touring with loads of panniers in July or August. Just take a look at the screen grab below. 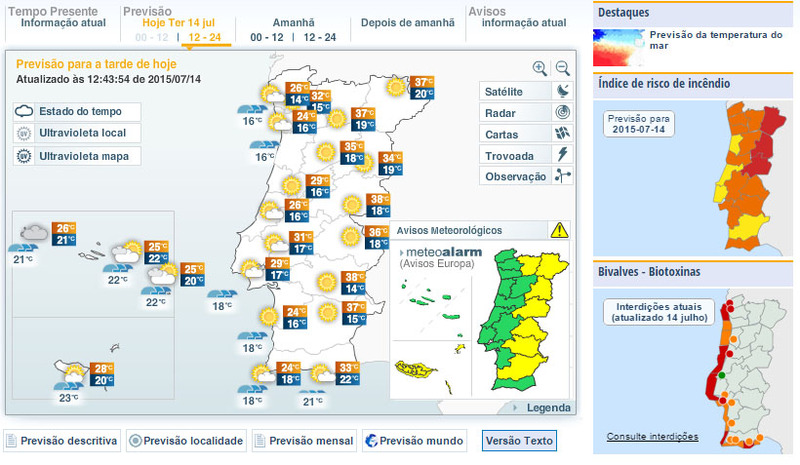 It’s from the Portuguese met office and shows the weather forecast for today (July 14th) with temperature highs ranging from 24-38°C (75-100°F). Now, I recognise that’s not hot in some people’s books but for me anywhere north of 30 is starting to get a bit too warm for riding. That’s not as extreme as it gets, either. As the summer goes on, you can expect to see temperatures well into the 40s (110°F+), particularly away from the coast. Oh, and the little chart on the right with all the yellow, orange and red areas is indicating the fire risk in different areas – yellow is moderate, while red means highly elevated. Which brings me to a couple of other things to take into consideration before contemplating a summer cycling trip in Portugal. One is that 90% of the Portuguese population are on holiday during August. And the vast majority of them go to the coast to escape the heat inland. Meaning that inland towns are dead because no-one, not even the Portuguese, really wants to be there when it’s too hot to breathe. On the other hand the coastal towns and resorts are heaving. It might be a fair few degrees cooler and there’s much more chance of a pleasant breeze, but you’ll also find the roads are at their busiest, the campsites are heaving and space of any kind is at a premium. I’m not trying to put you off going to Portugal, honest. But try going between October and May, you’ll have a much more pleasant time out there on the road. Huw is bang on the money with this. 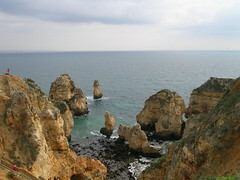 I live and cycle in the Algarve and the months of July and August in particular are scorching. To put this into perspective, I normally ride 3 to 4 times a week for 3 to 4 hours, and at this time of year my rides are finished by 1030 am. Yes, I am up at 6 am for breakfast so that I can get out by 7am and be back before it gets too hot. The sunshine looks all well and good in photos, but when you ride a bike, the heat effect is debilitating. In July and August I simply don’t have the energy to ride like I do the rest of the year. 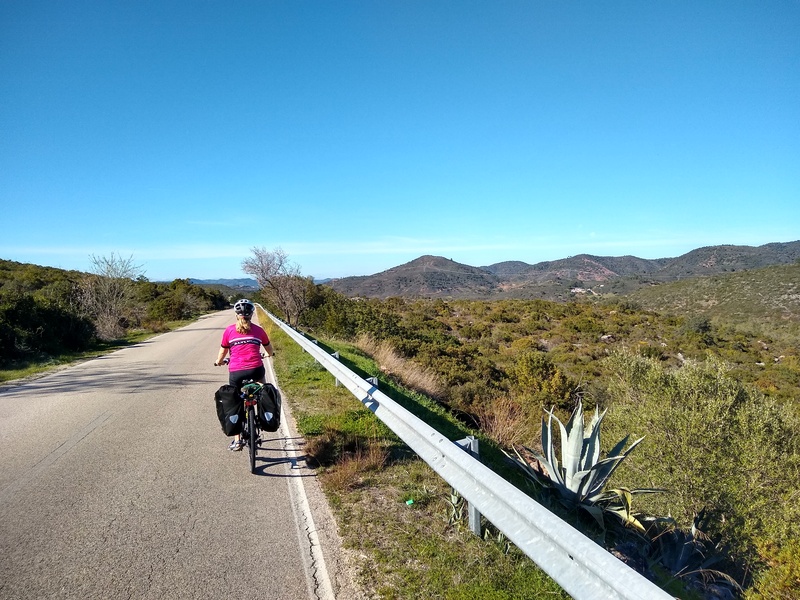 My steeds are a road bike and touring bike, and it makes no difference whether I’m pushing on or having a leisurely ride, the feeling is the same. 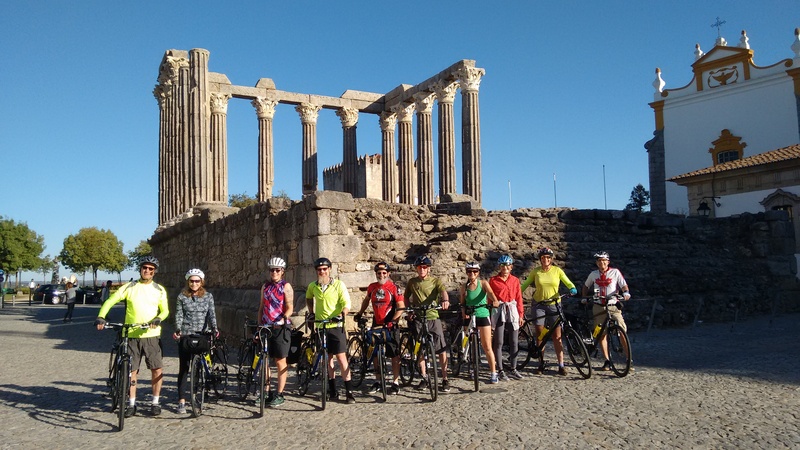 If your idea of a cycling holiday is to ride at the crack of dawn and be finished by 10am or earlier, depending on that day’s temperature, then that’s fine. 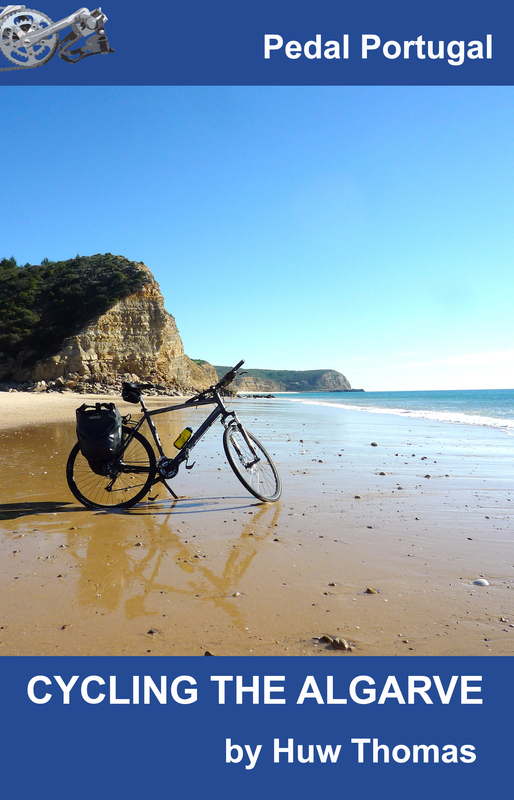 Bear in mind that here in the Algarve by the coast, in the south of the country, the temperature at night is currently between 20 and 24 degrees C.
As Huw suggests, between October and May is the best time for a cycling holiday in Portugal. So, that alarm clock is definitely a must! I have to agree with Huw. I’m in the Algarve. Although I have been out and about on my bike last week and this in temperatures of over 30˚, I’m talking about lightly- or un-laden utility cycling and less than 40km per day. I wouldn’t be too keen on full-blown, laden, touring. And it’s getting much hotter. 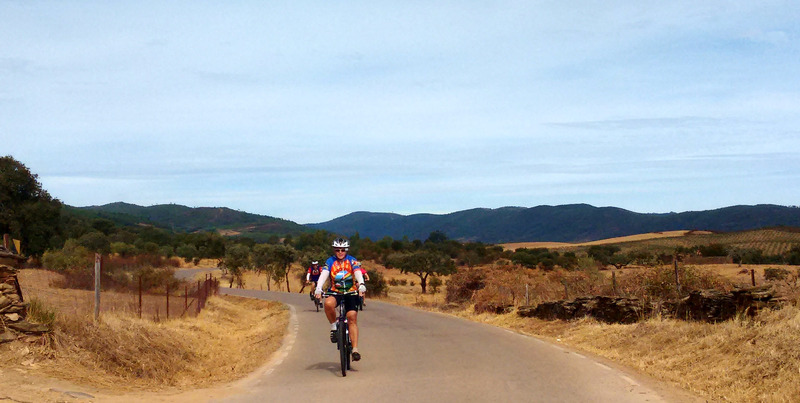 Temperatures of over 40˚ have already been recorded in, e.g., Beja, Alentejo. If you really must come here in July/August, please DO NOT underestimate the amount of drinking water you will need to buy and carry. A couple of bidons won’t cut it – you need to measure in litres, and lots of them. In remoter areas with shops few and far between you might find spring/mineral water difficult to find (tap water is perfectly drinkable of course). And please wear a helmet or at very least a hat. I’ve just had a visitor who refused to wear a hat (“Hats give me a headache.”). He lasted less than an hour before being forced to find shelter. He was lucky – in many places, there simply isn’t shade readily available. Oh – and make sure you have excellent laundry facilities available at the end of the day. You will sweat, and wearing today’s unwashed gear on tomorrow’s ride will not endear you to fellow riders or the general public! Excellent advice – thanks John. I’d also add wrap-around shades and a visor to the ‘must have’ list if you value your eyeballs! And maybe an alarm clock so you can get up at 4am and get some cycling in before mid-morning if you must go at this time of year. Found it hot enough in April, the thought of summer for me – aghghghghgh!